Here is the latest of my more or less monthly newsletter on pediatric topics. In it I highlight and comment on new research, news stories, or anything else about children’s health that I think will interest parents. If you want to subscribe to it and get it in the form of an email each month there is a sign-up form at the very bottom of my home page. About those physician rating sites: do parents use them to find a physician for their child? There are now a multitude of web sites on the internet that allow consumers, that is patients and their families, to rate physicians. And why not? There are rating sites for many other products and services. But these sites can strike fear into the hearts of doctors because, when you look at them, the number of ratings for a particular physician is usually quite low. In my own case, for example, a popular rating site only lists one for me even though I’ve been practicing for 30 years. So there is the fear that one disgruntled patient can tank your rating. But these sites are here to stay, I think. A big question is if parents use them to find a doctor for their child: or, if they haven’t used them, would they? A recent survey asked that question and found that parents are beginning to use the information on the sites. My concern is that, if this is the future, they be run a little better. For example, Angie’s List, a popular one, has contacted me several times to ask me to rate myself. I assume it was a computer glitch, but the potential to cook the books is always a concern with anonymous rating sites. 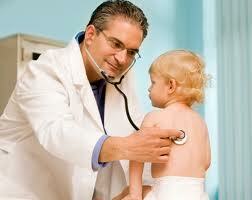 Pediatricians are always concerned that long term treatment with any medication could affect a child’s growth. This is true for any medication, but it is a particular concern for attention deficit/hyperactivity disorder (ADHD) because there are so many children taking these medications and they often take them for many years. A recent study in the journal Pediatrics is reassuring on that point. The authors studied a large group of children through childhood and on into adulthood and found no effect on growth. A related, and important point, is how common is ADHD? A recent report from the Centers for Disease Control (the CDC) used surveys of parents to assess that issue. What they found is that 11% of all children between the ages of 4 and 17 had at one time or another been given the diagnosis of ADHD, and 83% of those still carried that label. And 69% of the total were currently taking ADHD medication. That represents a whopping 43% increase over the past decade. For myself, I find it hard to believe ADHD is increasing at that rate; it’s more likely increased awareness of the condition, but there also may be a component of you find what you look for. What is my advice to parents about this? I’m not an ADHD expert, I’m a critical care pediatrician, but it seems to me to be a stretch to categorize 11% of all children as abnormal — that even defies the definition of what the word normal means. If your child’s teacher wants you to get ADHD medications for your child, I would first carefully look into the details of the concerning behavior. How troublesome is it really? Could there be other explanations? Could more structure help? Then see a physician or psychologist with experience with ADHD. If the recommendation is for medication, for myself I’d seek another opinion and see if they agree. This is an area in which parents should be the ones driving the bus. There is no question that car seats save lives. Since their use has been mandated by law, the death and injury rates of children involved in motor vehicle accidents have fallen dramatically (40-50%). But the seats need to be used correctly. A recent report suggests that new parents need more help in figuring out how to install and use them. 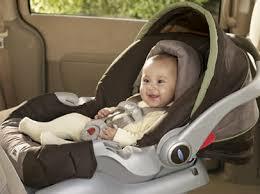 In fact, 93% of new parents made at least 1 critical error in using the seat. So if you’re not entirely sure if you’re doing it right, have someone check. Our hospital, like all hospitals delivering babies, has specially trained nurses that can look at your seat, your car, and make sure the seat is installed right. There are also quite a few good online sites (like this one) telling you about different kinds of seats, which children need which ones, and how to install them. Many children do not drink cow’s milk. This may be because of a sensitivity to cow’s milk protein, a common condition, or because of parental preference. Parents of children in this situation should know that this brings a risk of reduced vitamin D levels in the blood. 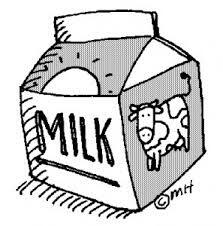 Commercial cow’s milk is fortified with vitamin D, as are infant formulas that don’t contain cow’s milk. A recent studymeasured vitamin D levels in children who don’t drink commercial cow’s milk and found that many of these children had low vitamin D levels. Vitamin D has long been known to be crucial for bone growth. Rickets, a once common bone disease in children caused by low vitamin D, is now extremely rare since milk has been fortified with the vitamin. We also know now that vitamin D has many other functions, such as in cardiovascular health. Our body can make vitamin D if exposed to sufficient sunshine, but this is not a reliable source. Of note, the above study comes from Toronto, and rickets was once much more common in climates where children get less sunshine exposure. The bottom line is that if your child does not drink fortified cow’s milk he or she is at risk for low vitamin D. Your child’s doctor can help you with identifying the best way to supplement this key nutrient.